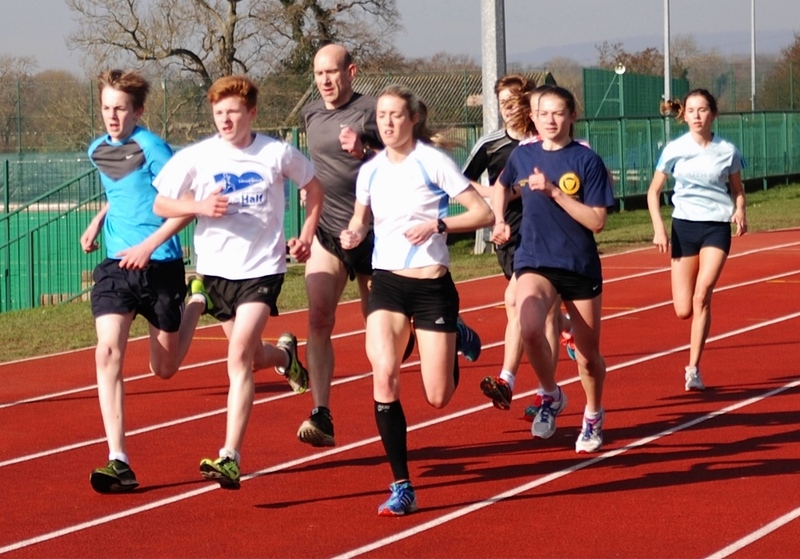 There was a good turnout of more than 60 starters in this month's junior 1 mile races. 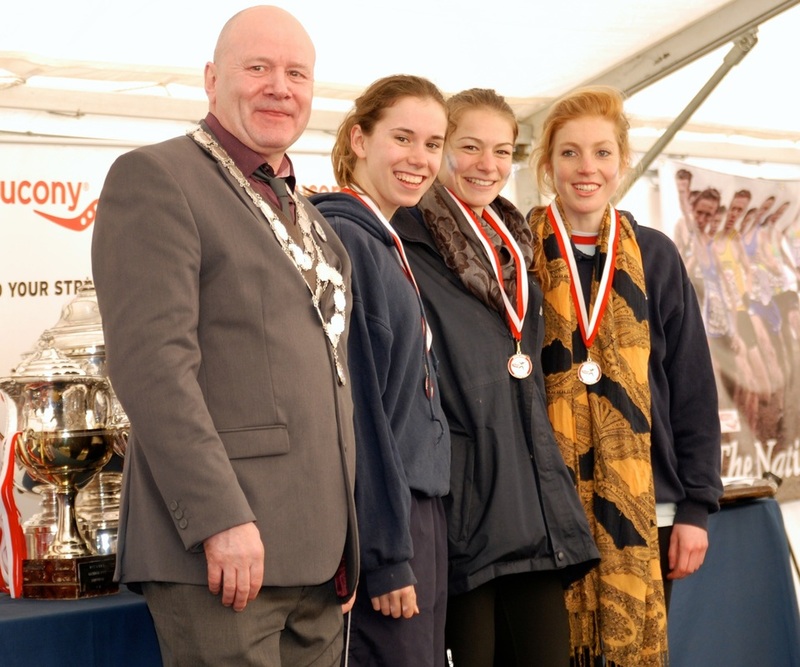 Katie Burgess was first to finish in the girls event, whilst Finn Croll was second in the boys race. Full results are on the Results 2014 page. TAC had a clean sweep of the podium places as Ben Cole won in 71.10 (pb), followed by Julian Rendall 72.44 and Dan Bradley 73.01. Dan Watt was 6th in 74.44. Phil Coleman ran 97.39, Duncan Ralph 1.44.52 (pb), Peter Laing 1.44.57 and Nigel Beer 1.46.47. Perhaps one of the most notable runs was Joe Baldwin running 1.57.07, as a year ago many would not have thought it possible. Also in Paris Abblie Shepherd-barron ran 94.05. 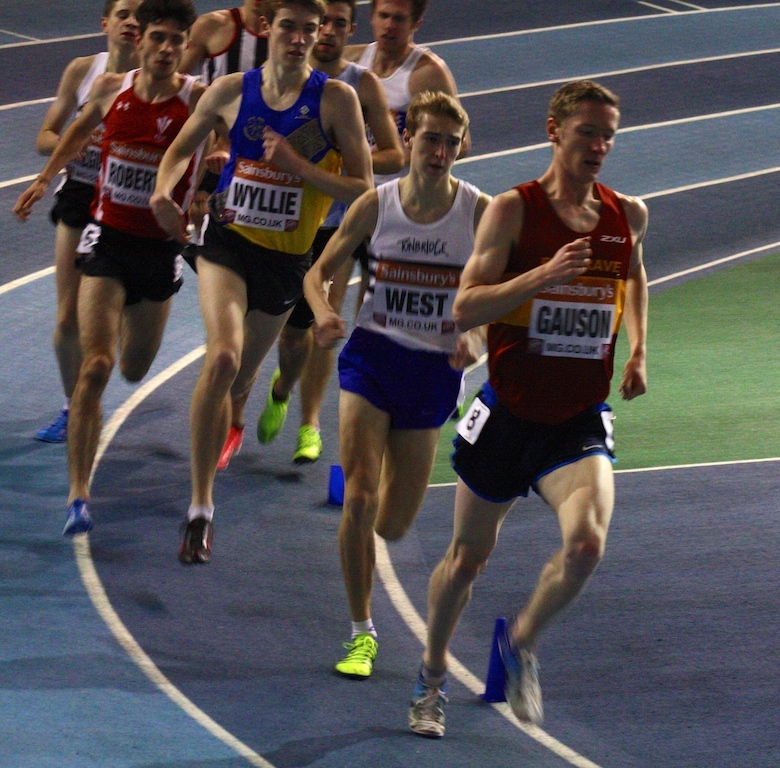 James West has finished a close second in the under 20 mens 1500 metres final in around 3.54. He couldn't quite catch the winner Kyran Roberts of Wales in the final few stride, in what was a terrific race, with Robbie Fitzgibbon of Brighton Phoenix. James now hopes to be selected to run for the England team in next Saturday's Welsh International. Becky O'Hara finished third in her 300m heat in 42.23, which compares well with her outdoor best of 41.35. The Tonbridge Parkrun was back in action, with Ollie Dunn in 4th leading the way for TAC in 19.04. This was just two seconds outside his best. 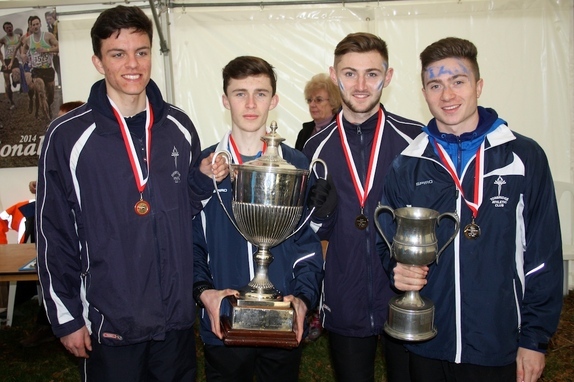 Others who ran were James Kingston (19.57 pb), Toby Ross (20.01 pb), Harry Brown (20.52), Cain Bradley (21.01). At the Orpington Parkrun Lucy Pitcairn-Knowles ran 23.31 and daughter Ellen 25.38. 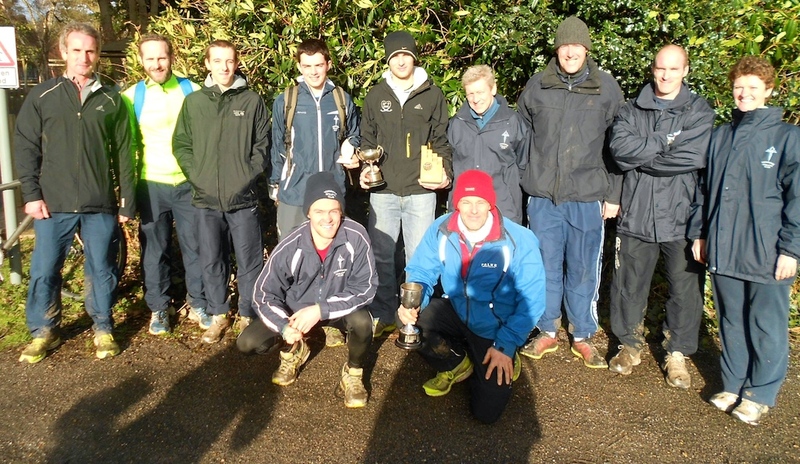 At the South London Harriers Schools Race, TAC filled the first four places. Chris Olley won, from Miles Weatherseed, Michael Ellis and Peter Laing. Stuart Brown won the Inter Boys race. We had three good groups training in the sunshine at Tonbridge School today. Photos courtesy of Gary Duggan. Laurie Probert, running for Lamar University, Texas, clocked 15.10.04, in finishing 7th in the Southland Conference Indoor 5000 metres on Wednesday. On Friday, Kieran Reilly, for Indiana University, missed out on qualifying for the 1 mile final, as he finished 4th in his heat with 4.08.84. Only the first two from his heat qualified for the final. 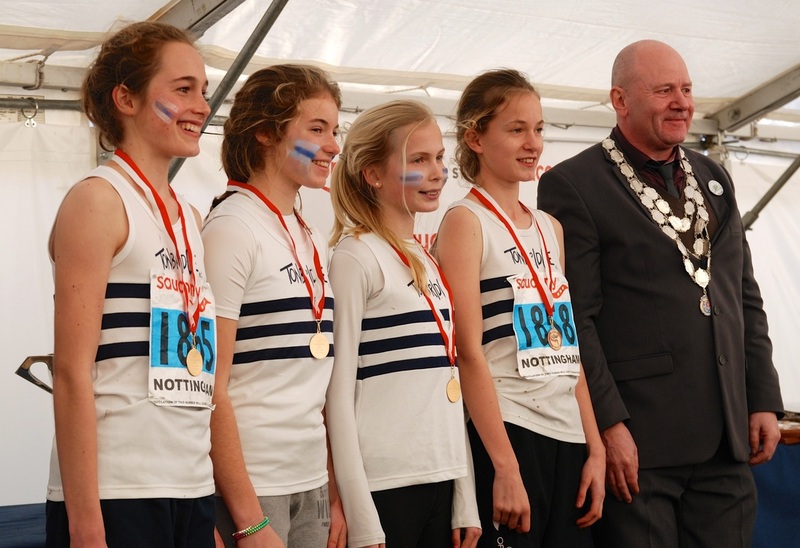 The venue for next year's National Cross Country Championships has been confirmed as Parliament Hill, on Saturday 21st February. We will try and arrange an evening dinner and awards evening, once again. This was yet another terrific 'National' trip for Tonbridge AC and I would like to thank everyone who made the effort to race, support and be on the trip. The total was well over 200 people. If we didn't get the support from everyone that we do it just wouldn't be the same. In total 111 competitors, which is a club record, beating last year's 99. Photo below of the Under 20 men that won the National Championship. Max Nicholls, Corey De'Ath, Ryan Driscoll, Robbie Farnham-Rose. More to follow.. In the evening all ten of the TAC squads were applauded by the audience ! Andy Combs ran 14.53 to finish 43rd in the 5k in Northern Ireland. There were five TAC distance runners in action at Lee Valley, with four running outright (indoor/outdoor) personal bests. 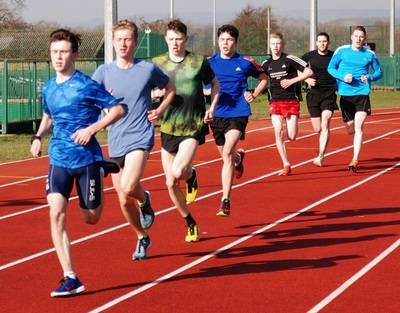 Ewan Wood knocked a couple of seconds from his 800m best with 2.28.11, whilst at 1500m Christian Lee ran 4.43.87 (6s pb), Bede Pitcairn-Knowles 4.30.32 (6s pb), Sam Crick 4.48.28 (11s pb). Charlie Crick ran the fastest TAC 1500m time of 4.43.87. On Sunday Deirdre McDermot finished 66th overall and 2nd lady in the Brighton Half Marathon. She recorded 1.20.14, which is a minute and a half quicker than she ran when winning over the distance at Tunbridge Wells last year. The time also beats the 81.42 listed on the Tonbridge web site as the TAC womens club record set by Miranda Heathcote. This prompted some research as Miranda had finished fifth in the 1998 Great North Run. Having checked a stack of old Athletics Weeklies it transpires that Miranda was a TAC member in 1998 and ran 76.00. She also ran 56.38 for 10 miles in August 1998, which should also be listed as a club record. 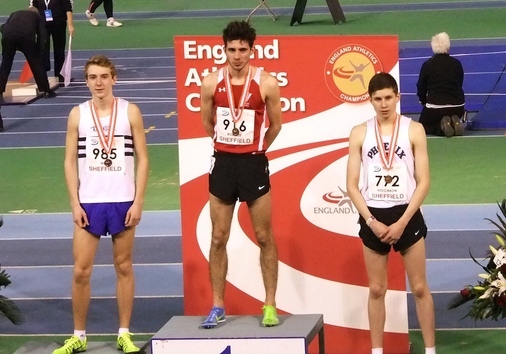 Kieran Reilly has put in the performance of the weekend in the USA, when finishing third in an indoor mile race, with a time of 4.06.73. The race was in the Hoosier Hills Invitational, at Bloomington, Indiana, where Kieran raced in the invitational mile for Indiana University. 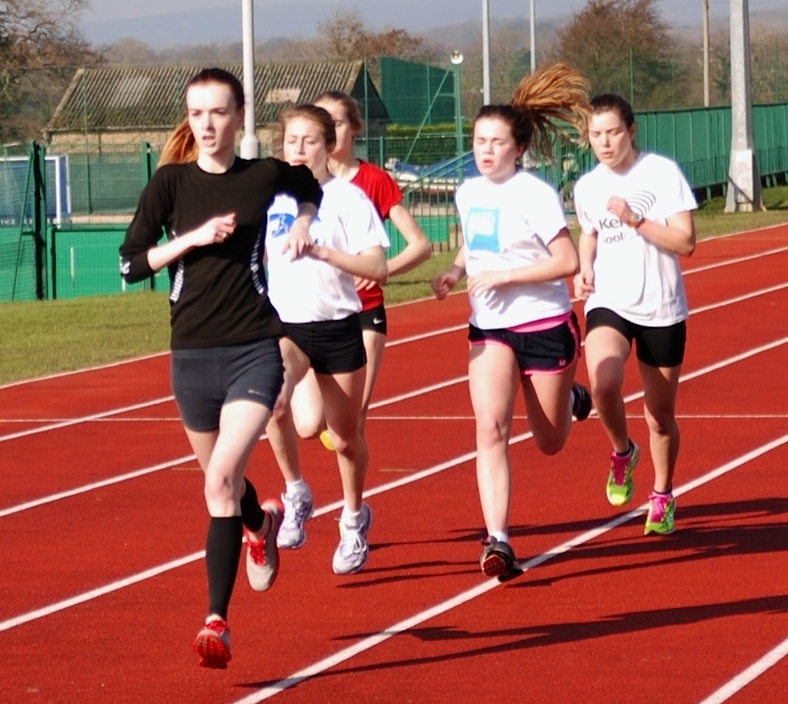 This was on day two of the meeting, where yesterday Kieran ran an 800m split of 1.53 in the Distance Medley Relay. Nearer to home Lucy Pitcairn-Knowles was first lady home in the Orpington Parkrun over 5km in 24.16, with daughter Ellen running 24.53. At Maidstone the only TAC member in the results is Harry Brown with 21.07. The Tonbridge event was once again cancelled, since parts of the course would have been below water. 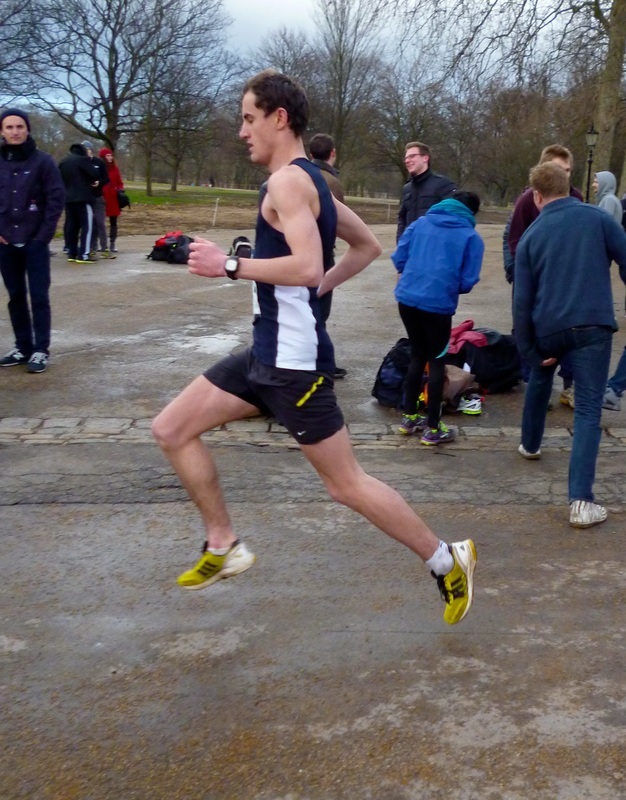 On Saturday a number of TAC distance runners were in action for their universities, at the Hyde Park relays. 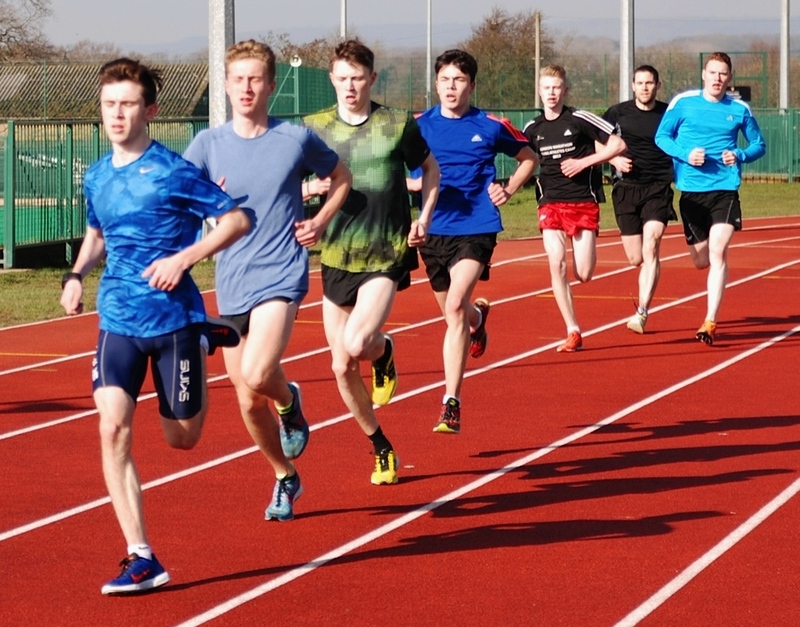 The event is 66 years old and has seen European and World record holders compete such as Seb Coe, Dave Moorcroft, Ron Hill and others. In action this year were James Thomspon and Nicola Wilkinson (Bristol), Alex Howard (Oxford) and Jack Keywood (University of East Anglia). Thanks to James plus Steve Keywood for texting through some information. We think Alex Howard ran 15.42, whilst James was around 16.17. The course was apparently altered a little this year. Full results are now on the Results 2014 page. Forty athletes attended the hill session at Knole Park on Saturday morning, as we had five groups tackling a combination of hills at the southern end of the park. I have added quite a few dates to the 2014 fixture list, which can be found on the Fixtures page. 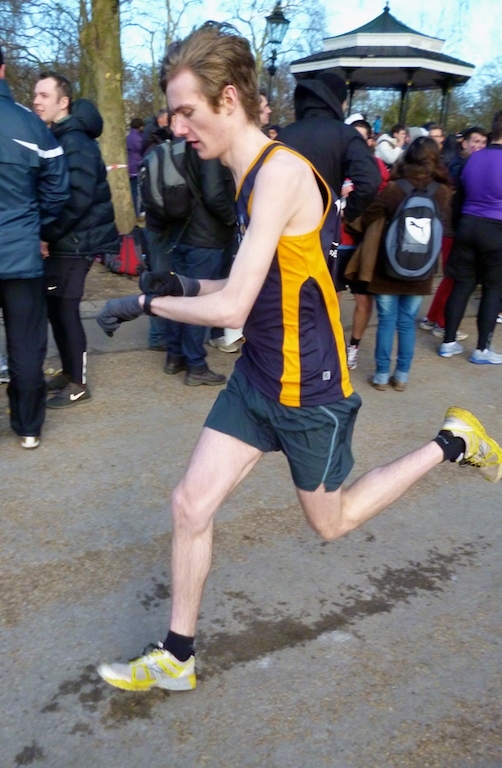 Dan Bradley placed 12th in the high quality Chichester 10k this morning. Dan ran 32.12, which is just nine seconds outside his personal best. He commented "it was very windy and definitely think a sub 32 is there on a good day !" Video of womens race now loaded ! This was the final fixture in the league season for the senior men and women. TACs men maintained their position at the top of the league, in both the 4 and 12 to score competitions, with wins in both categories here. The ladies finished third on the day in the three to score contest, a position they also filled in the final league table. 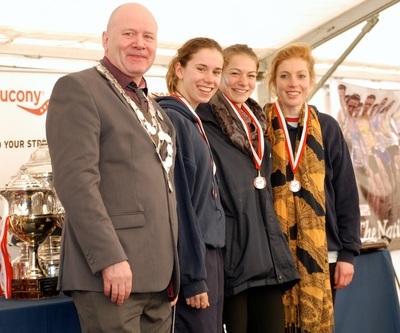 Julian Rendall had a fine run in third place, whilst Nicole Taylor led the women home in an excellent second. Perhaps the best news of the day was that Catherine Symons completed her first cross country race for three years and finished in an excellent 16th. Full results are on the Results 2014 page. Photo below of the squad members who remained behind for the presentation. Videos of both races loaded ! Ellen Pitcairn-Knowles was the first female home in the Orpington 5km Parkrun, running a personal best of 24.12 for the course, although she has run one second quicker at Tonbridge. Harry Brown ran 20.04 at the Maidstone Parkrun, finishing 10th. Andy Combs, who was hoping to race in the Reading 5 miles on Sunday, had to withdraw with a stomach bug. The latest in the monthly 'cross country' races had to be swapped to the track, due to flooding. TAC's Katie Burgess won the girls races in 5.59 and George Rowland the boys' in 6.12. Full results are on the Results 2014 page. Ashley Gibson produced a superb run of 34.40 to be first lady home, in eighth place overall, whilst Dan Bradley ran 32.27 to finish second and just three seconds behind the winner. Ash's time puts her 4th so far this year on the UK rankings. 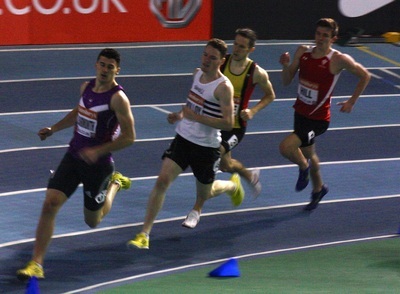 Harry Paton improved by around two minutes on his race at the same event last year with 33.56, as he finished fifth. There was a personal best for Matt Harvey with 39.02, whilst Joe Watts ran 42.43, Sally Musson 42.57 and Cain Bradley 43.46. Laurie Probert competed for Lamar University in section 2 of the mens mile, finishing 11th in 4.30.41. Results on the Results 2014 page. Photos below courtesy of Mark Pitcairn-Knowles. Graeme Saker was first home at this week's Maidstone Parkrun in 17.11. Harry Brown ran 20.44. The Tonbridge event this week was cancelled, due to flooding. At Crystal Palace, Kelsi Cornish ran 19.47 for 7th. At Orpington Ellen Pitcairn-Knowles ran 25.06. 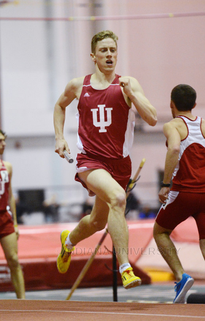 Kieran Reilly was the first TAC distance runner in action this weekend, when he raced over an indoor 3000 metres for Indiana University. He finished 12th in a competitive field with 8.25.33, improving his time of a couple of weeks ago by five seconds. Kieran is due to race in the 4x800m relay on Saturday aswell.